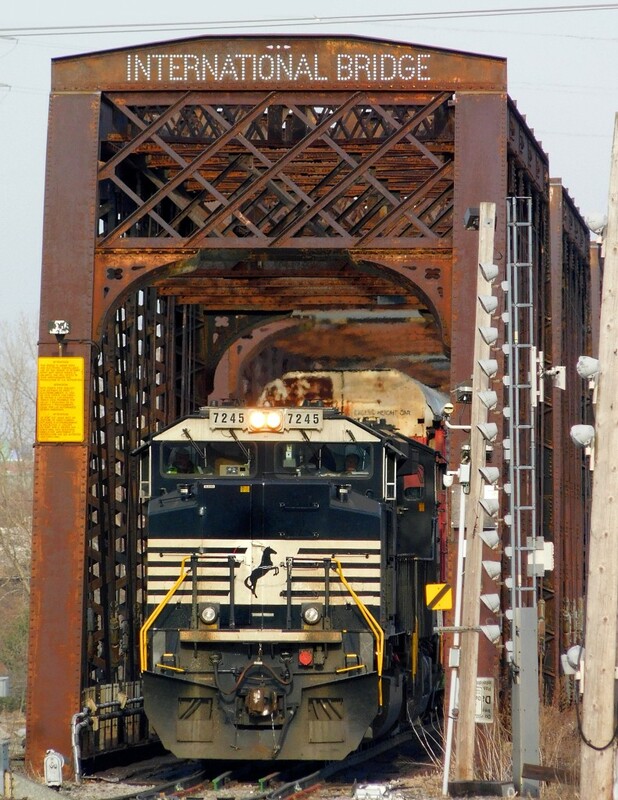 Railpictures.ca - Matthew Tozier Photo: NS C93 comes off the International Bridge and enters Canada on the CN Stamford Sub with an EMD SD70ACU (Rebuilt SD90MAC) in the lead. | Railpictures.ca – Canadian Railway Photography – photographie ferroviaire Canadienne. Caption: NS C93 comes off the International Bridge and enters Canada on the CN Stamford Sub with an EMD SD70ACU (Rebuilt SD90MAC) in the lead.